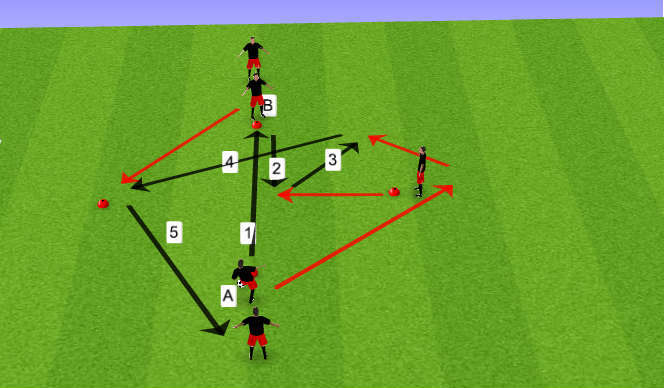 Crossing and finishing pattern with a combination of passes and overlap runs. Focus on body position, angles of receiving, speed of overlap, timing of runs into box and quality of delivery. 4 v 4 + 2 possession with 3 v 2 break out after 5 passes from one team. 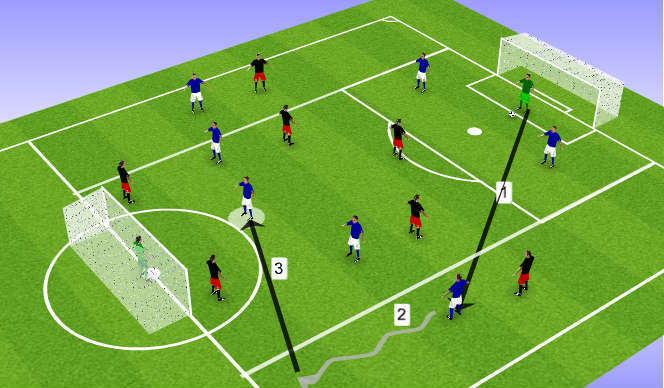 Defenders can not come past the pen spot until the ball has crossed the line. Overlap and crossing in the channels.